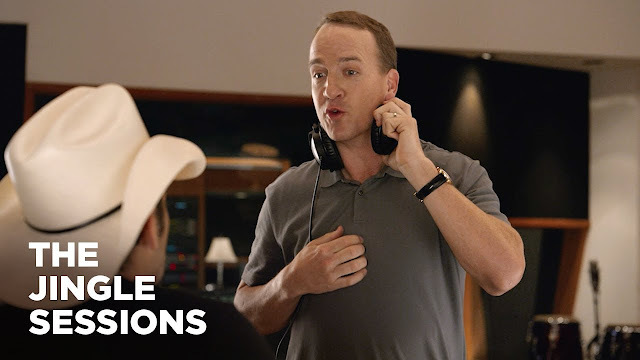 “Nationwide is on Your Side.” The Nationwide jingle may sound simple enough to sing, but not to Peyton Manning, who thinks country singer, Brad Paisley, still doesn’t seem to have it quite right. “I want to feel it from your heart,” Manning says to Paisley, who humourously tries to get it right according to Peyton's bewilderingly, high standards. This is the first time both Nationwide spokespeople have appeared in the same commercial – and their chemistry is undeniable. Watch Peyton and Brad’s hilarious take on the Nationwide jingle in the latest ad – and don’t forget to check out behind-the-scenes “interviews” and bloopers!